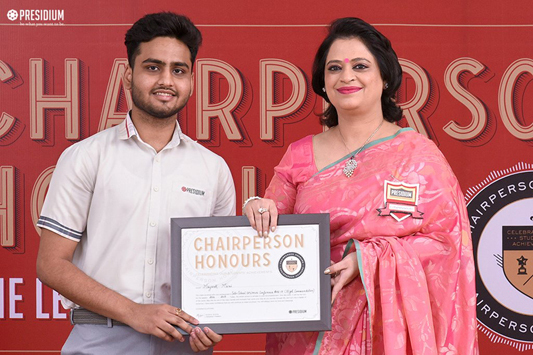 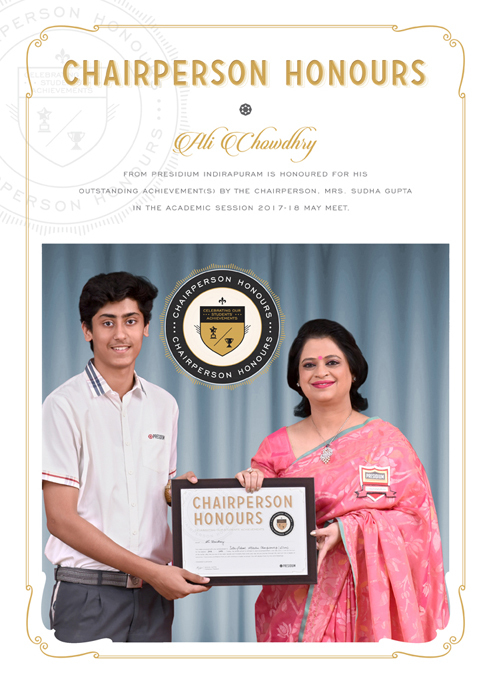 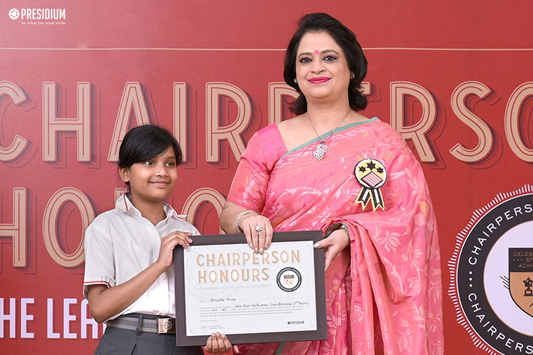 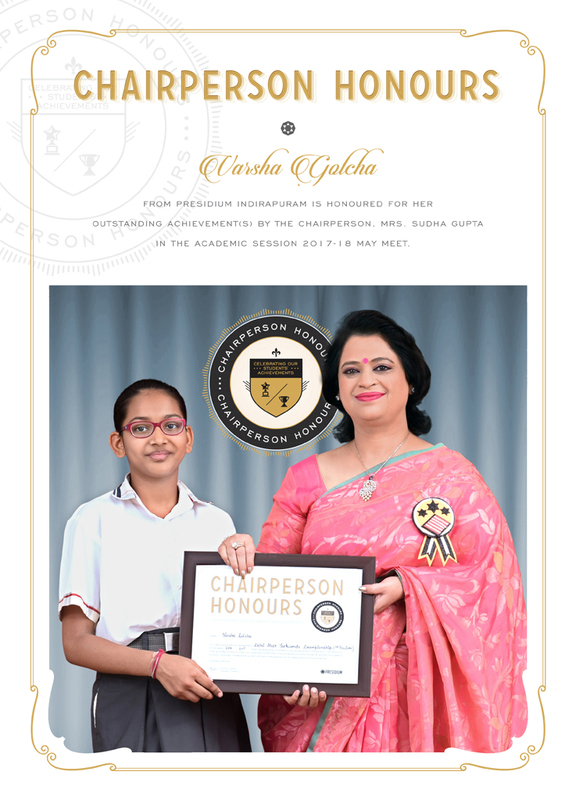 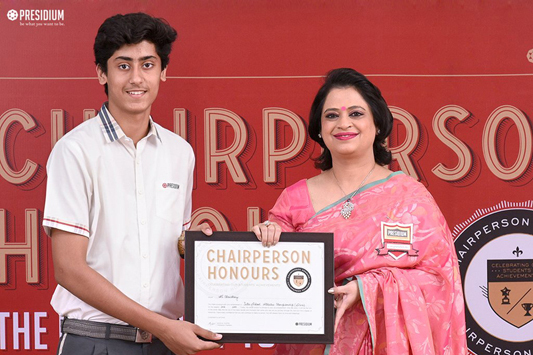 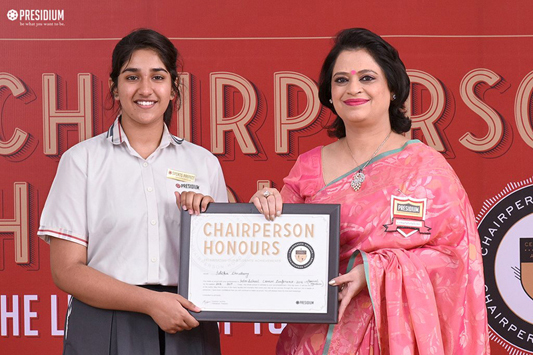 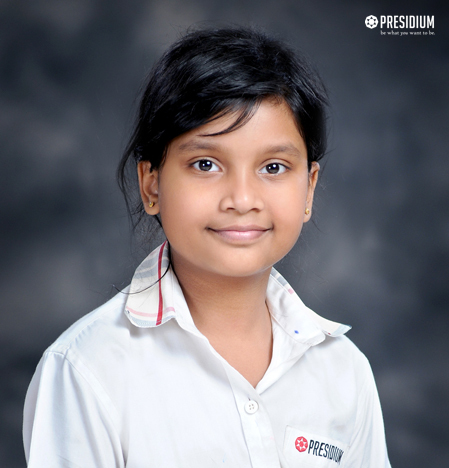 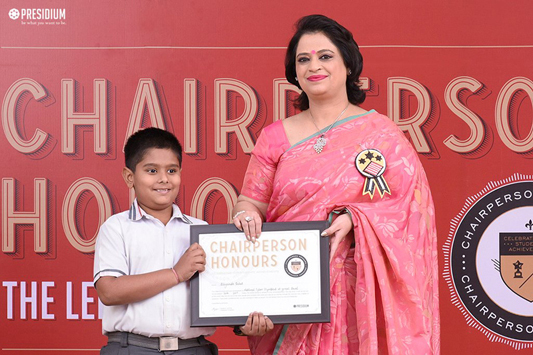 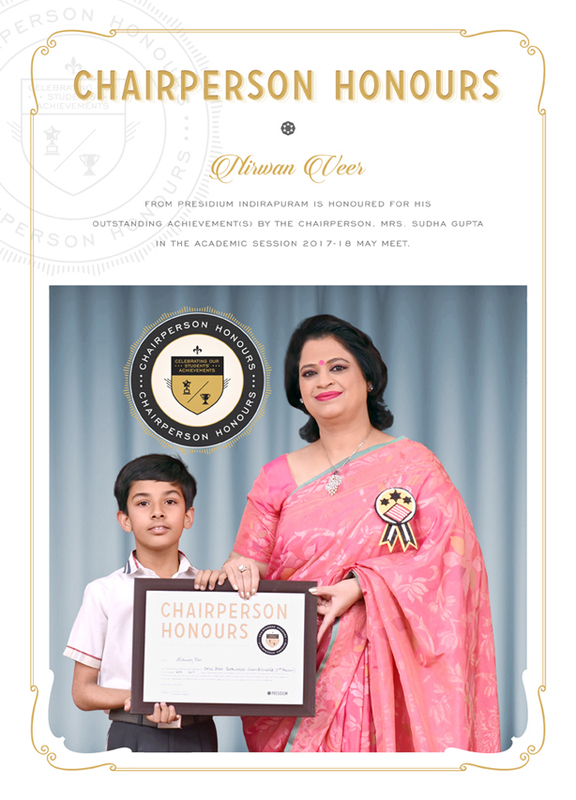 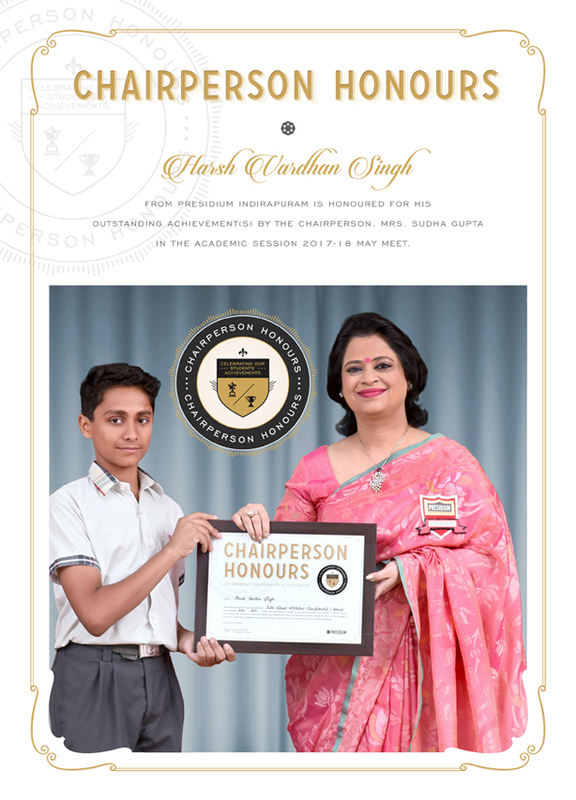 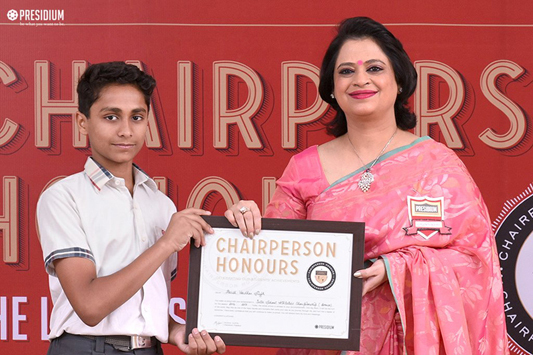 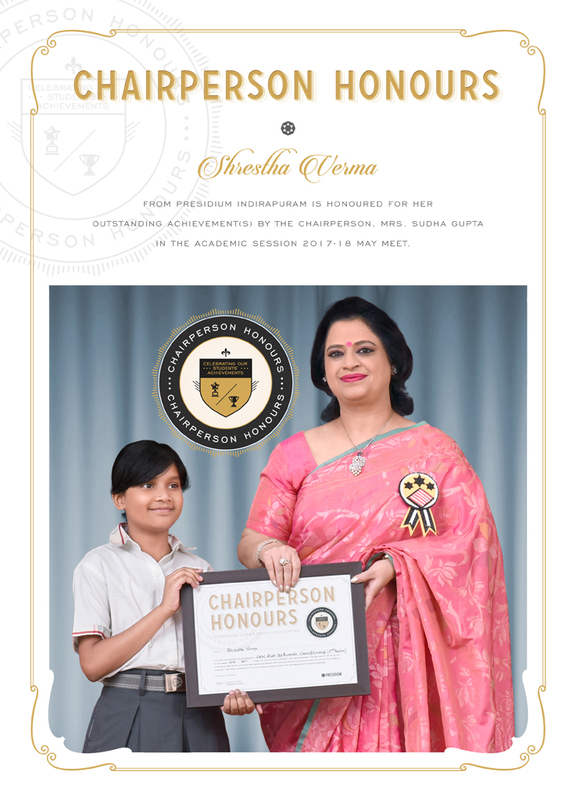 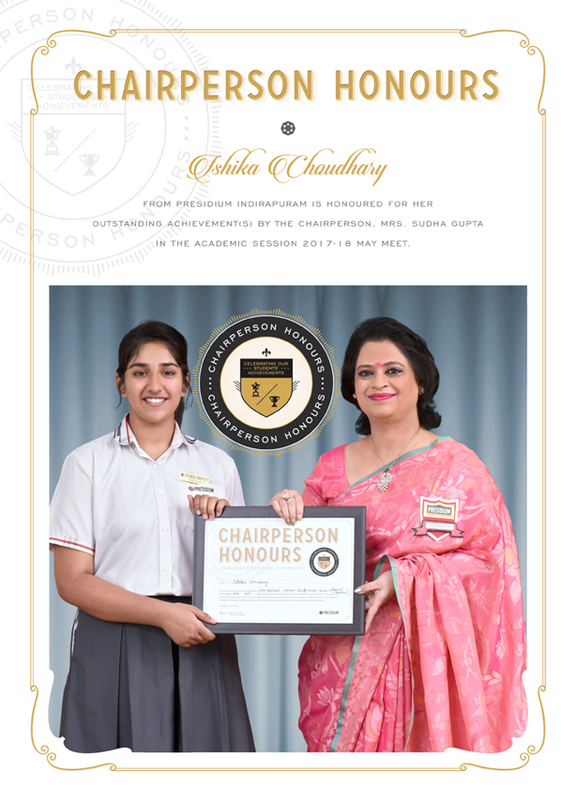 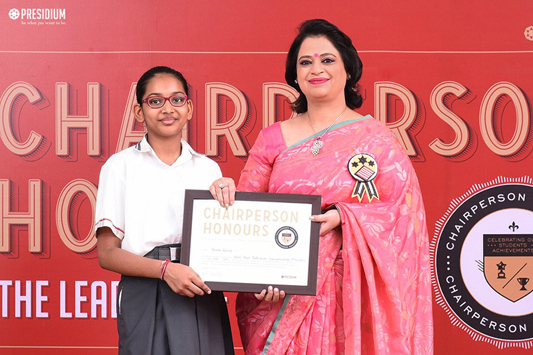 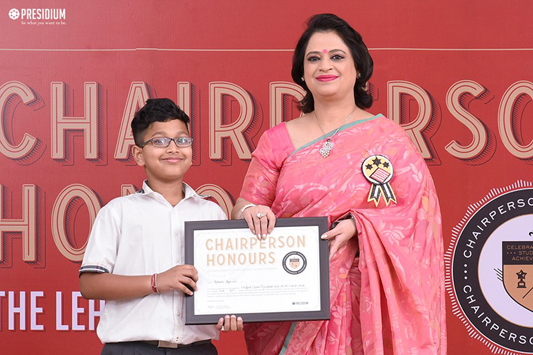 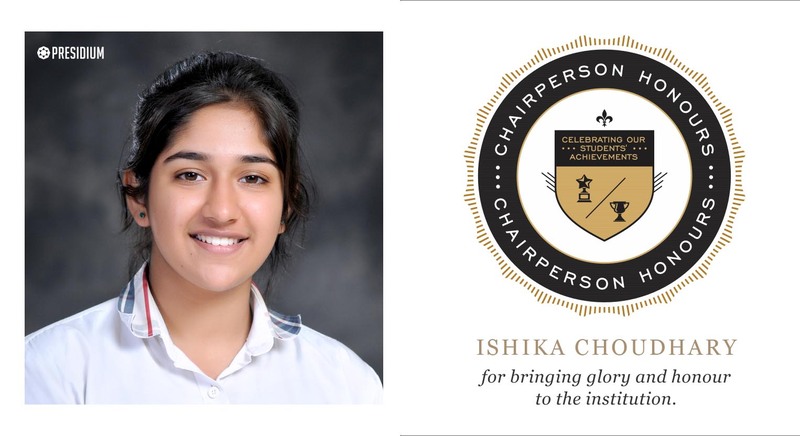 ISHIKA CHOUDHARY OF CLASS IX-C FROM PRESIDIUM INDIRAPURAM, WON SPECIAL MENTION IN CAMUN 2016. 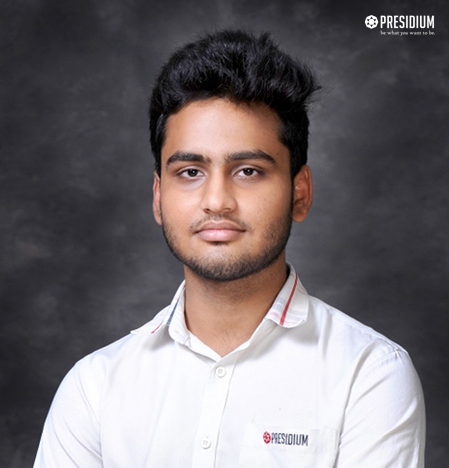 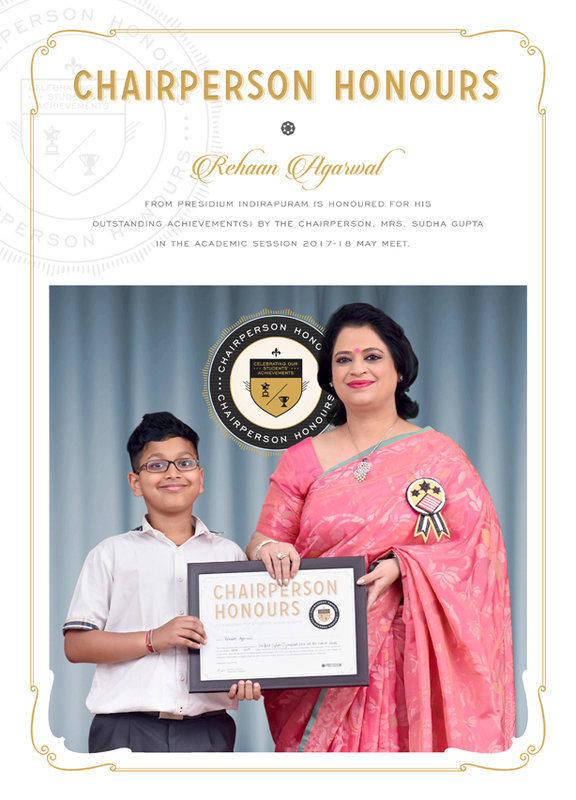 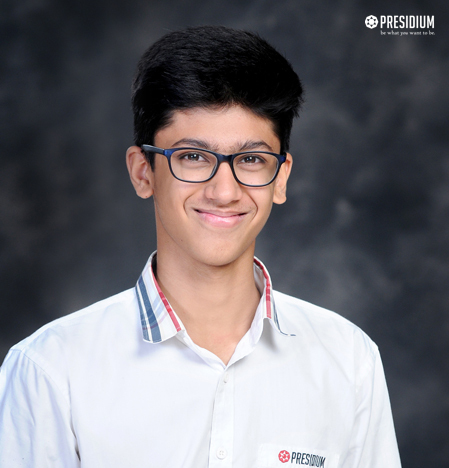 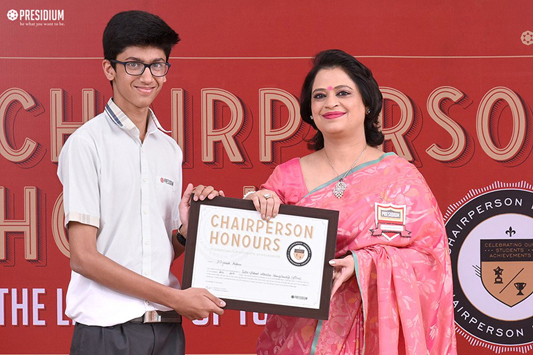 REHAAN AGARWAL OF CLASS IV-D FROM PRESIDIUM INDIRAPURAM, SECURED 94TH POSITION IN ACADEMICS AT 16TH SOF NATIONAL CYBER OLYMPIAD. 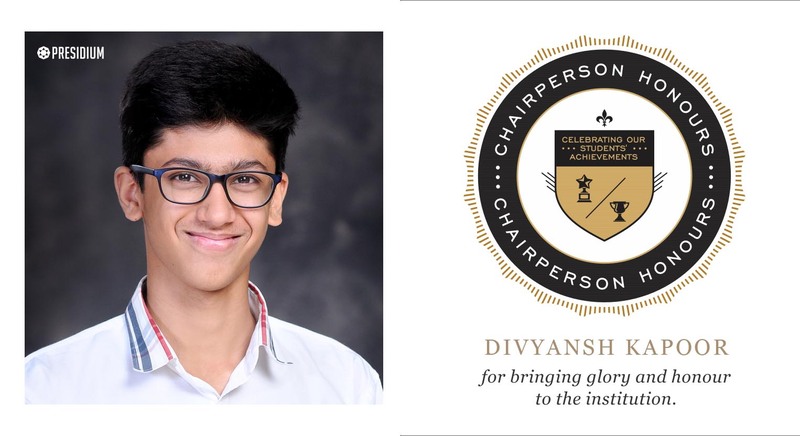 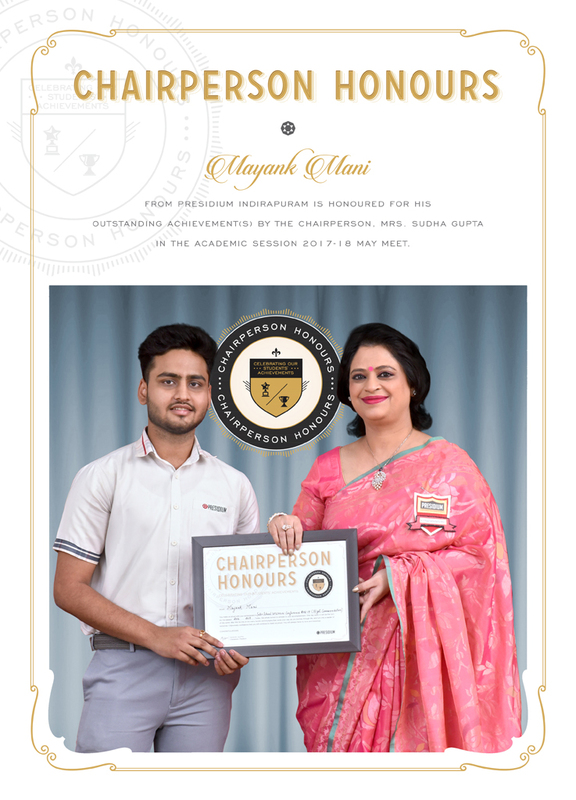 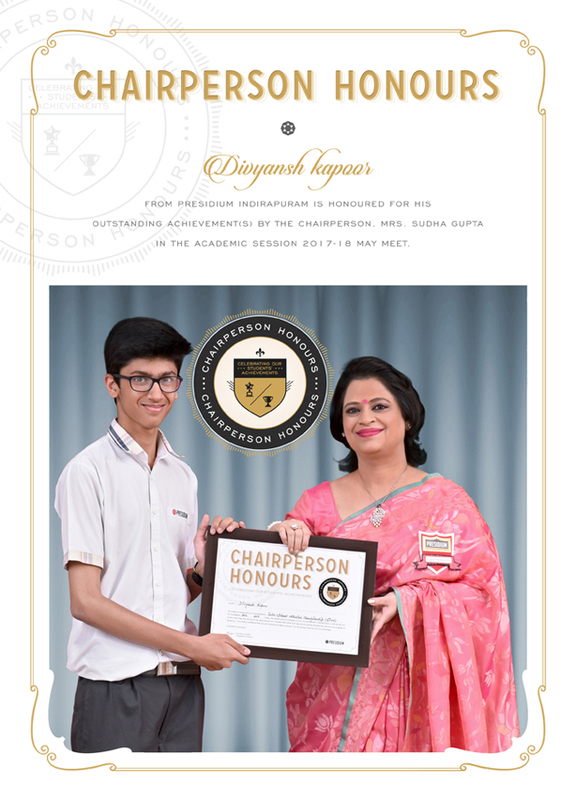 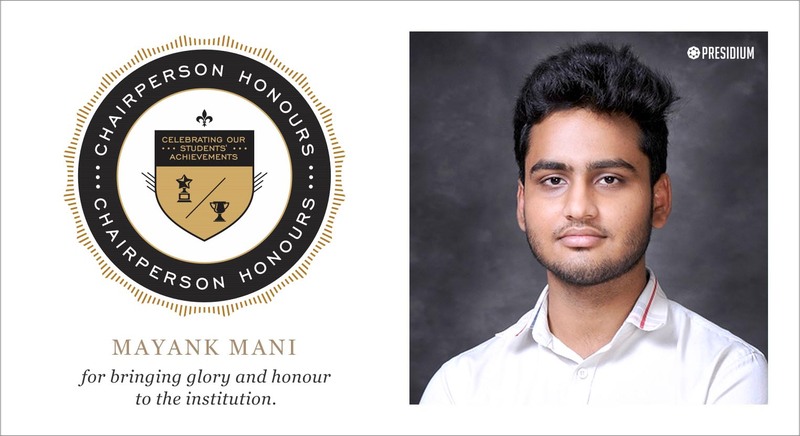 MAYANK MANI OF CLASS XI-A FROM PRESIDIUM INDIRAPURAM, WON HIGH COMMENDATION IN DPSIMUN 2016. 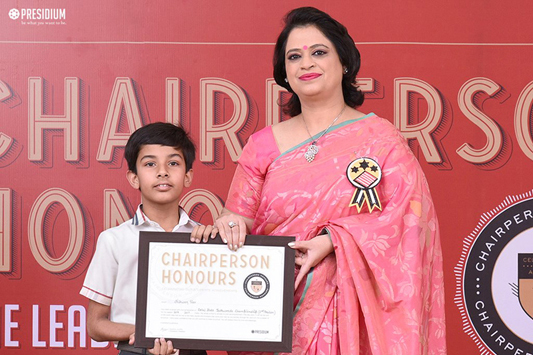 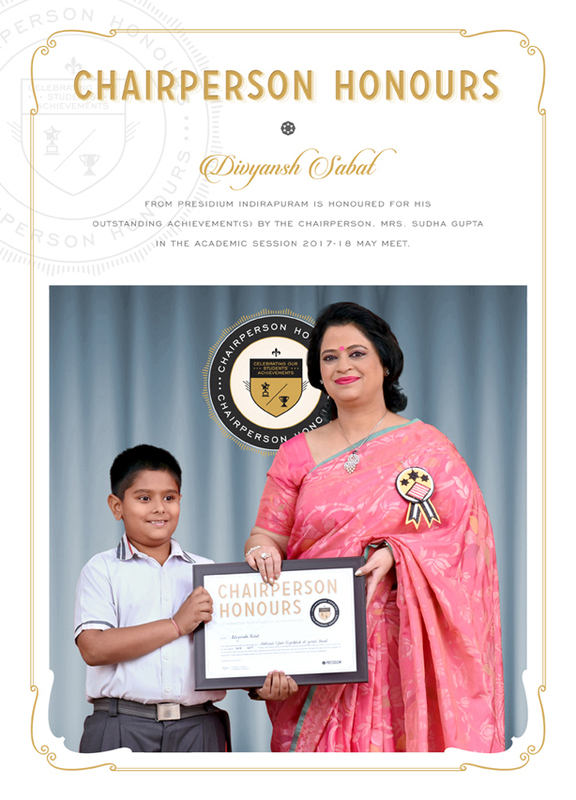 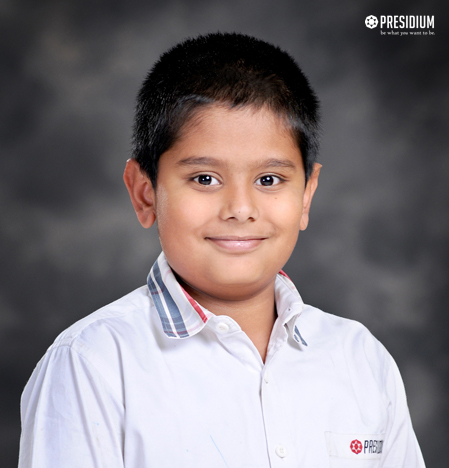 DIVYANSH SABAT OF CLASS IV-G FROM PRESIDIUM INDIRAPURAM, SECURED 8TH POSITION IN ACADEMICS AT 16TH SOF NATIONAL CYBER OLYMPIAD. 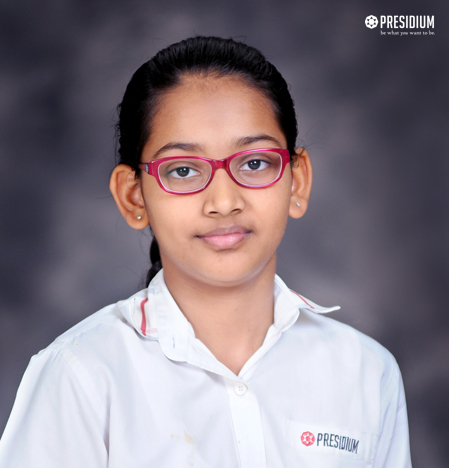 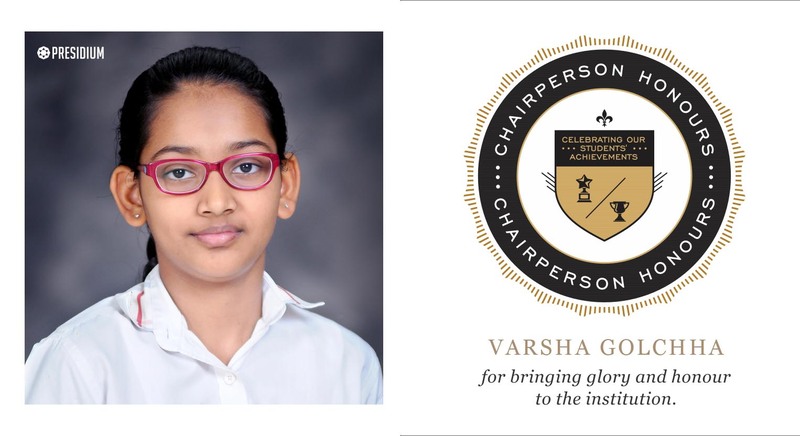 VARSHA GOLCHA OF CLASS V-N FROM PRESIDIUM INDIRAPURAM, SECURED 1ST POSITION IN TAEKWON-DO AT 28TH DELHI STATE TAEKWON-DO CHAMPIONSHIP. 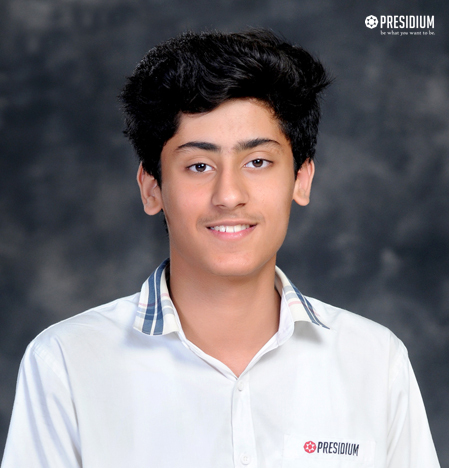 HARSH VARDHAN SINGH CHAUHAN OF CLASS VII-B FROM PRESIDIUM INDIRAPURAM, WON BRONZE MEDAL IN ATHLETICS AT INTER SCHOOL. 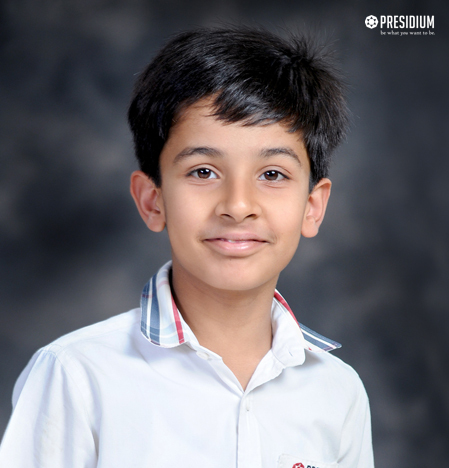 DIVYANSH KAPOOR OF CLASS VIII-A FROM PRESIDIUM INDIRAPURAM, WON SILVER MEDAL IN ATHLETICS AT INTER SCHOOL. 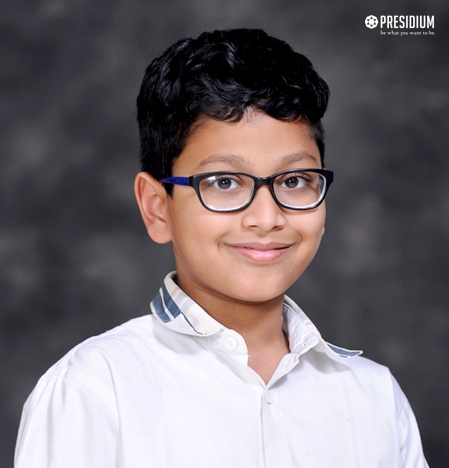 NIRWAN VEER OF CLASS IV-V FROM PRESIDIUM INDIRAPURAM, SECURED 2ND POSITION IN TAEKWON-DO AT 28TH DELHI STATE TAEKWON-DO CHAMPIONSHIP. 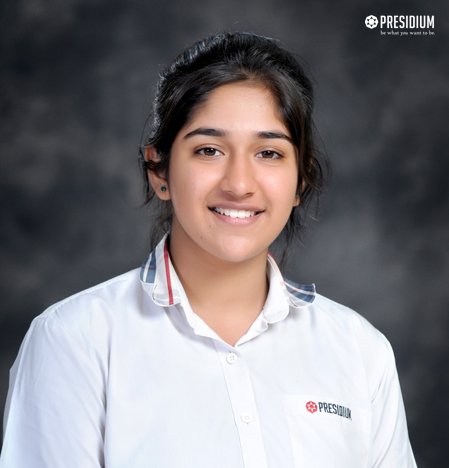 SHRESTHA VERMA OF CLASS IV-N FROM PRESIDIUM INDIRAPURAM, SECURED 2ND POSITION IN TAEKWON-DO AT 28TH DELHI STATE TAEKWON-DO CHAMPIONSHIP. 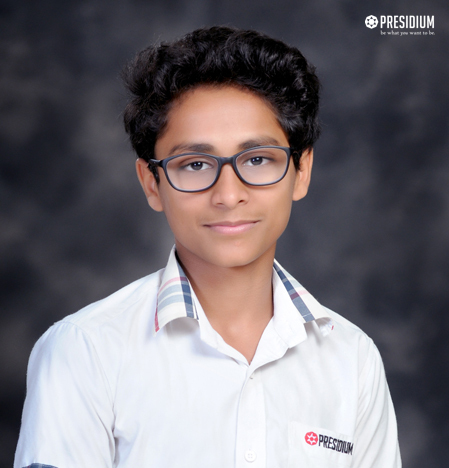 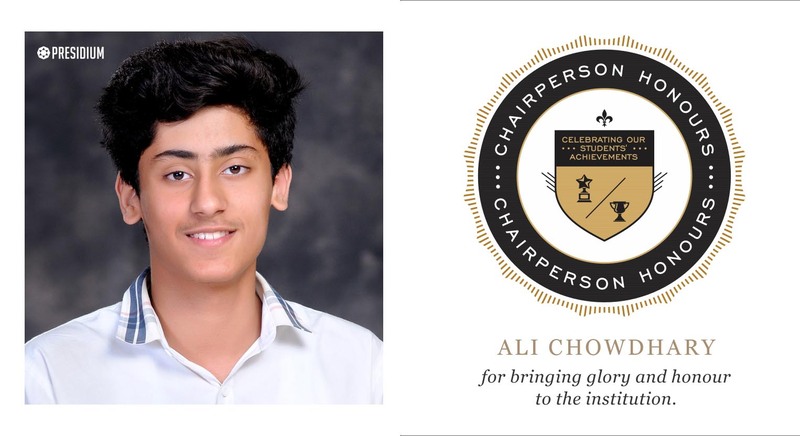 ALI CHOWDHARY OF CLASS VIII-F FROM PRESIDIUM INDIRAPURAM, WON GOLD MEDAL IN ATHLETICS AT INTER SCHOOL.